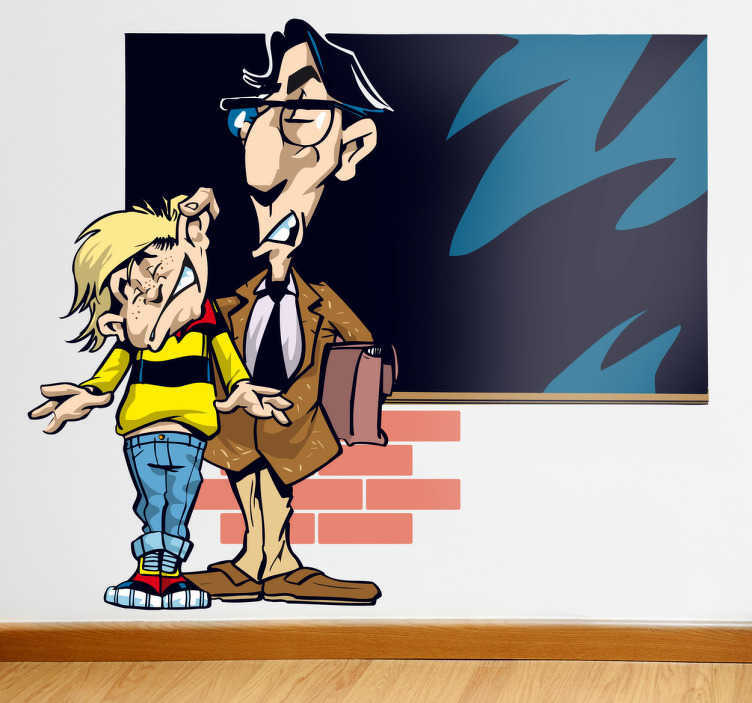 The Teacher is angry at the child for messing about as he stands in front of the white and pulls the kids ear and the kid is being disciplined wall sticker. This is a funny picture that shows what happens if you mess about in class. You will get your ears pulled! Kids these days are so lucky that this isn't the case now but this decal would look great in your home or even the school!! !